UBC Day 15 : Ten Things of Thankful - A Rose Is A Rose Is A Rose! They say that a simple act of thinking about who and what we are grateful for makes a big difference in our life. That’s because when we are thankful, we are remembering the positive things in our life, and it also means that we cherish those things in life. And the best part of being thankful is that it converts bad things into good things. My parents, who make it a point to call me every day. Their concern and care is something I cherish a lot. My husband who is supportive of everything I do and is my first and ardent cheer leader. My child who is the epicentre of my life. A mind and body that works and is alert and healthy. All the pains and sorrows that I have experienced. They have made me a stronger person. All the happiness and joys that have brightened my days. Achieving my goals. The achievements of the past inspire me to go after my newer goals. The kindness of strangers and those around me. Kind words can be short and easy to speak but their echoes are truly endless. So, what are you thankful? If you’d like to blog about it, please link up your post at Considerings. My First Experience @ Donating Blood! I personally believe that this is an exceptional blgohop (in a blogosphere crowded with bloghops), I say this not only for it’s ‘theme’ Ten Things of Thankful but for what appears to be developing in the relatively few weekends we have been here. There is a sense of conversation, even a nascent community flickering, due, in my opinion to the fact that Lizzie has elected to have it run 2 days, Saturday and Sunday. This appears to have the effect of allowing people to come, perhaps submit a Post and read a little, then come back later on and see who has been saying what! I know that other ‘hops’ will run for more than a day, but everything seems geared to the day of it opening and while it is fun to contribute ideas, often there are too many other posts to read in a normal busy day. I will venture to say that this blog hop has a higher percentage of ‘everyone reading everyone else’s Posts’ than the other bloghops I frequent. …again due to the more relaxed pace. Hi Shilpa, and thanks for joining us this week. Your list blows me away – it’s so succinct! It’s clean, pure and full of Good. Thank you so much for sharing it with us. Having a great relationship with the generations above and below us is so important – it’s always so nice when parents put their children on their lists. And it does my heart good to see that you have a good relationship with your own parents. God bless, Shilpa…and as I said, I am sure, you must’ve come up with this post in about 10 minutes? An awesome list to be thankful…cheers! That’s a terrific list! 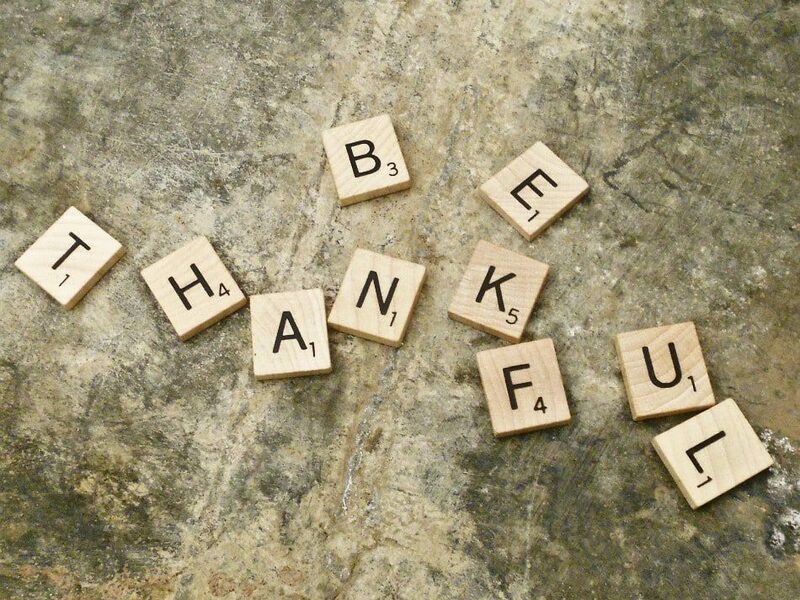 It is uplifting to remember just how much you have to be thankful for. I was watching the Nat Geo channel yesterday and there was this program about world’s most fearsome predators operating in packs/groups. That program makes me realize that I’am thankful for not having to live in a jungle. I mean, it’s a jungle in a jungle!! There is so much to thank for that the list could be endless starting with smallest things in life , Shilpa! Oprah Winfrey also said what you have mentioned here, be thankful for what you have; you’ll end up having more. If you concentrate on what you don’t have, you will never, ever have enough!! awesome….!! such a simple but important mantra… we can find time to crib when things go wrong, but not enough time to thank for all that we have. In thanking god for all that we have, we are actually reassuring ourselves that all is well with us… and that’s such an awesome feeling to have! Ah gratitude that is worth practicing! We have so much to be grateful for if only we stop and think for a moment! Taking your thought a step ahead, somebody had said, God gave you a gift of 86 400 seconds today. Have you used one to say thank you! Lovely post Shilpa!!! Don’t we forget thanking the simplest yet the most important things in life? Thanks Smita! Oh yes, we tend to take for granted the good that is already present in our lives. Glad you’d be sharing your gratitude too, Kads! for having my mom as my good friend. Shilpa – heartening blog post. Gratitude is my all time favourite emotion and my life always takes an upturn when I remember to feel grateful for the small things in life. Your ten are very inspiring. Shilpa, What a beautiful list of ten things to be thankful for! God bless you, and may the numbers grow. Lovely post. Being thankful is something people often forget and then regret. I am thankful for what I am today. I especially liked that you are thankful for pains and sorrows in your life. Hardships certainly can make us stronger, better people, and happiness is so much happier when we get to the other side. Thanks for linking up with us this week! It sounds as if your life is very rich and filled with blessings! So much to be thankful for. Hello hello there 🙂 Hopping over from the 10 Things of Thankful! Unfortunately, I wasn’t completely following the design of the hop (visiting the two people before you in the linky list) and I want to make sure I get on that. It’s always great to meet new people and learn the things they are thankful for! It’s wonderful you have such a supporting network of family and friends. That aspect of life will be incredibly rewarding (as I’m sure you already know) when things get tough. I can’t be certain, but this may be the first time I remember someone posting about being thankful for their pains/suffering due to it making them stronger, and that is an awesome thing to be thankful for! Very glad you were bale to join up this weekend, and hopefully you will check it out again 🙂 I like the Scrabble pic, by the way. Oh, I was not aware of this rule of visiting 2 people before the linky… will definitely do that in a short while. Thank you sharing this info Jak. Stay Blessed and happy always! So true that about parents especially 🙂 God bless u all Shilpa! One should never take things or people for granted, for we never know when we might not have them. Being always happy and living in gratitude for all the things in our life is the best way to live life. Negatives are bound to come into our lives, but we can always change even a negative into something positive. I believe the sometimes we have to experience some darkness to know and appreciate light. I am grateful to meet all of you and the sense of family..
and shilpa I am glad you keep coming up with these wonderful UBC special posts, lets us get you know better! People often take things in life for granted, Shilpa . One ought to look at those far beneath us and feel grateful for everything one has in life and for the very life in itself, right ? I enjoyed your post. We are all truly blessed! Loved your gratitude list Shilpa. Many of the points match mine too :). It’s indeed true that Gratitude is one of the highest virtues. Nothing can offer us more peace.